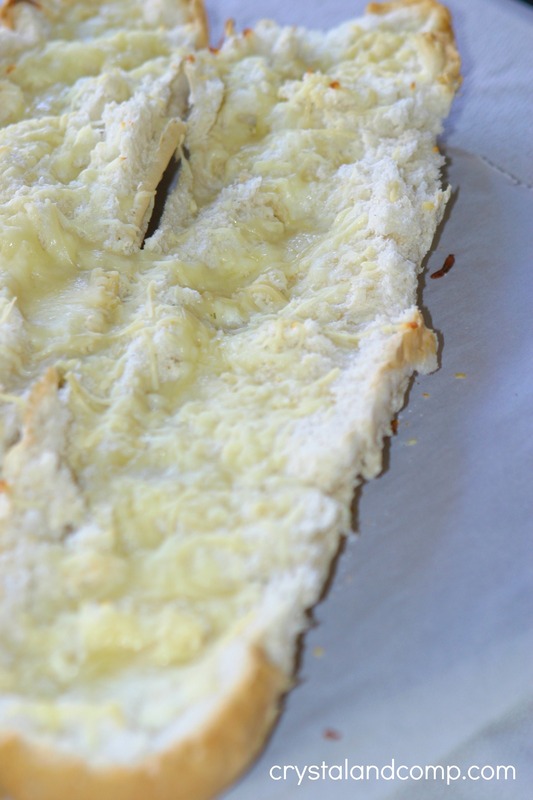 This easy garlic cheese bread goes perfectly with any pasta dish. We love it and it is very affordable to make. Easy recipes like this are perfect additions to all of our dinner ideas that are created with busy families in mind. Here is how you make this. Place the bread on a cookie sheet. I like to cover the cookie sheet in parchment paper to make for really easy cleanup. 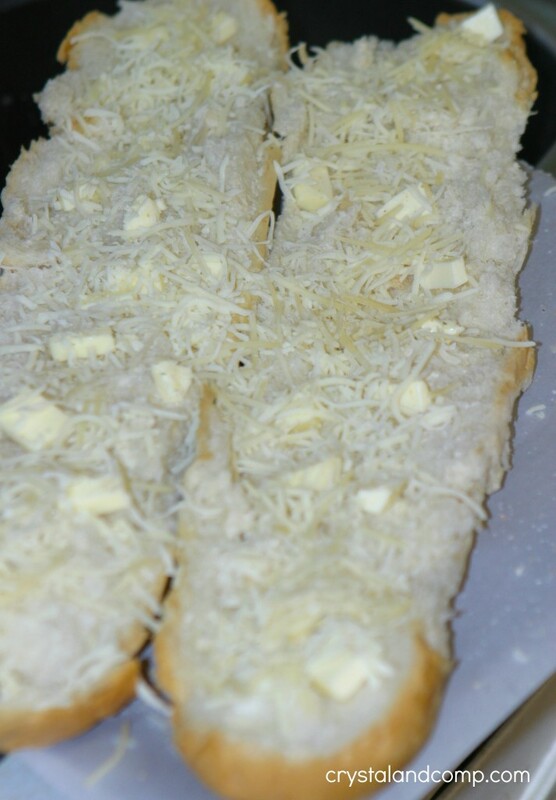 Take the small cubes of butter and distribute them evenly over the open face French loaf of bread. 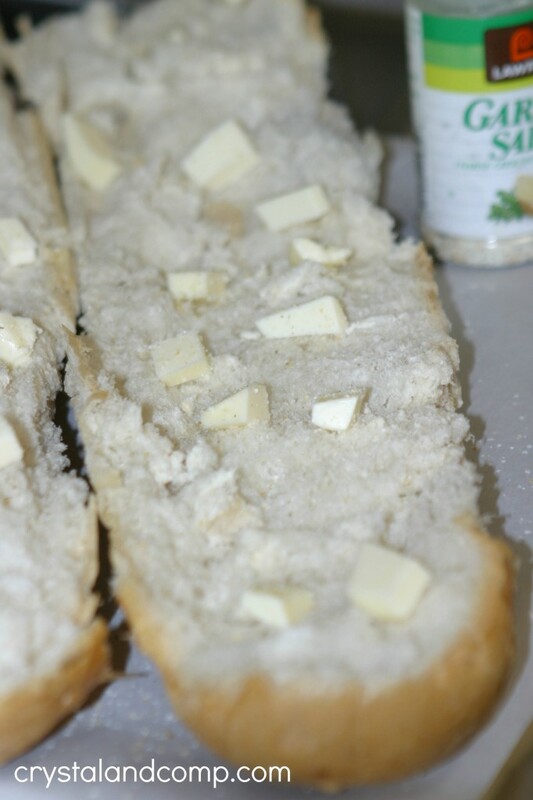 Gingerly sprinkle the bread and butter with garlic salt. You really do not want to over do this because the cheese we will add is already salty. 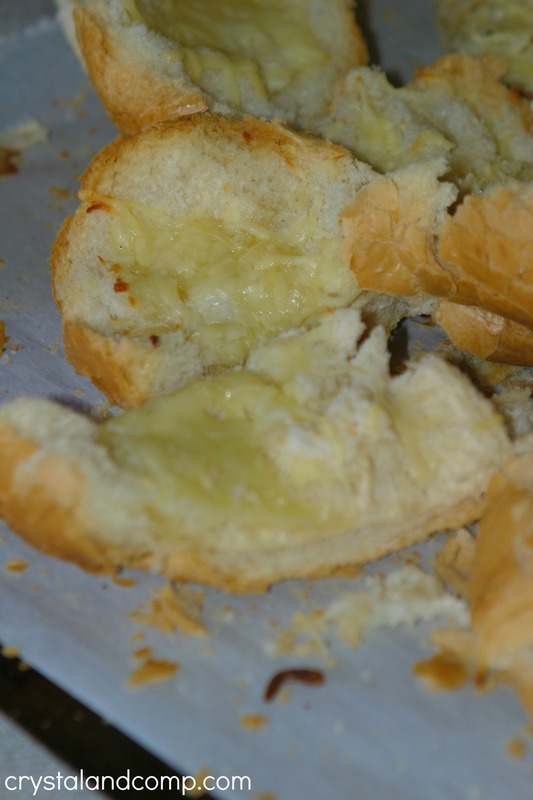 Top the open loaf with the cup of Mozzarella cheese. Then, top with the Parmesan cheese. Pop it in an oven set at 350 degrees and bake for 10-12 minutes or until the butter is melted and the cheese is golden. TIP: If I am cooking a pasta dish, I pop this in the oven when I add the noodles to the boiling water. Take it out of the oven and slice it into hearty pieces. Nothing fancy. These slices are perfect next to a plate of spaghetti. Look at how delicious this is. My kids gobble up this bread. A full loaf will feed a crowd- 10-12 people or more. 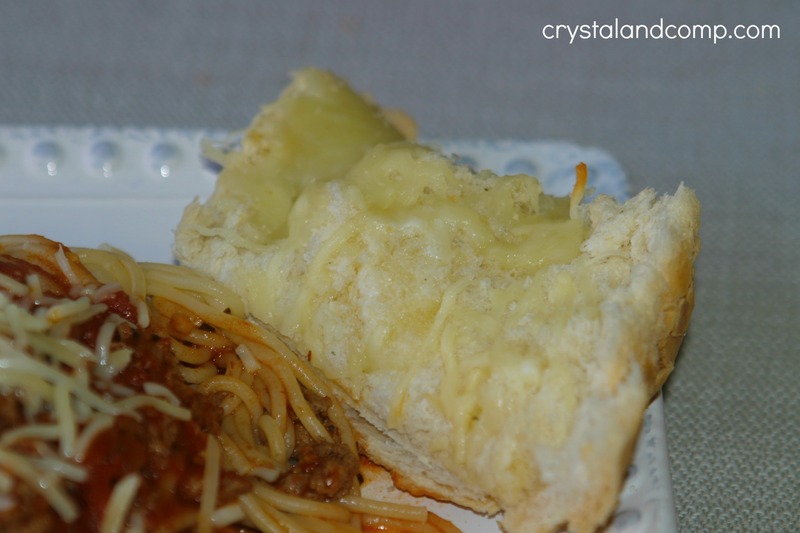 If you ever make my Quick Spaghetti Recipe, make this bread with it! What is your favorite bread to serve with pasta? Slice it up and serve along with your favorite pasta. This sounds delicious!!! I shared to my wall so I could keep the recipe. Heather- we love it! Thanks for sharing and let me know if you give it a try.